Olive pomace or olive cake is an industrial by-product obtained from the extraction of olive oil by squeezing the olive pulp without any chemical treatment. It is a dark colored paste consisting of crushed olive pits (also called olive stones or kernels), olive husk/skin, pulp, some pomace oil and waste waters. Sometimes the pits are separated from the vegetable parts and waste waters. The olive pits are a form of solid biomass and can be burned directly. At present, three types of olive pomace can be considered, depending on the extraction method, which are traditional process, 3-phase decanter processes and 2-phase decanter processes. Large amount of olive pomace to be used as biomass fuel are available only from the industrial scale 3-phase decanter processes. In the European Union, olive pomace is burned mainly in olive oil mills in order to heat up water for the oil mills. After the olives have been pressed and the olive oil is extracted, the olive cake is very wet. The moisture content is approximately 40-70% depending on the olive oil extraction process. The effective method of recycling this waste product is to dry it. After drying, the moisture content goes down to 8-15 %. Dried olive residue was utilized since ancient times in the Mediterranean for cooking and heating. When burned directly, the energy stored in the olive pomace is transformed and released as heat. The calorific value of olive pomace is quite high and comparable to that of coal. And its calorific value largely exceeds that of wood waste biomass. Therefore, the potential of making pellets out of olive pomace is a viable alternative. 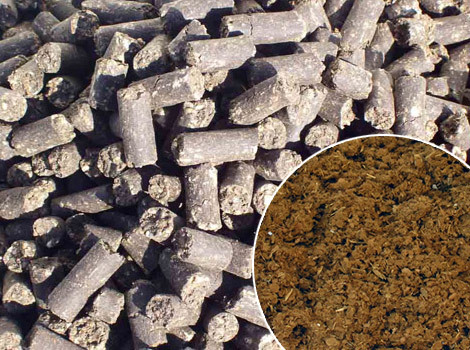 With several processes, the natural waste resource is turned into high value energy products and a premium quality biomass fuel pellet. Olive pomace is sourced basically from the areas with large olive tree plantation and a well-established olive oil industry. Olive is the most widely cultivated fruit crops in the world with a cultivation area of more than 10 million ha worldwide, and 95% of world’s olives are produced in the Mediterranean region. Most countries along the Mediterranean Sea produce olive oil in varying quantities. Spain, Italy, and Greece represent more than three-fourths of the total olive oil output in the world. The largest producer, Spain, supplies about one-third of the olive oil globally. The olive oil produced in Spain is exported to nearly 100 countries. Spain has 2.5 million hectares of olive tress under cultivation, where the Andalusia region occupies the southern third of the peninsula and represents the most important region, it produces approximately 75% of the total olive oil produced in Spain. Italy is the second largest olive oil producer, with one-fourth of the global total production. The Italian olive production covers approximately an area of 1.2 million ha, 80% of which is located in southern Italy, where Puglia represents the most important region, with about 0.37 million ha, followed by Calabria and Sicily. In the centre-north of Italy, the most important regions for olive-tree production are Tuscany, Lazio, Campania, and Abruzzo. Greece devotes 60% of its cultivated land to olive growing. Greece holds the third place in world olive production. About 30% of Greek olive oil is produced in island Crete, 26% in Peloponissos (southern peninsula), 10% in Aegean island of Lesvos, 10% in the Ionian Islands (Adriatic Sea) and the remaining 24% is scattered around the rest of the country. With a consumption of about 20 quarts (19 litres) per person per year, Greeks are the largest consumers of olive oil per capita in the world. In the complete olive pomace pellet production line, the processing procedures of drying, pelletizing, cooling, screening and packing are included. Drying: Olive pomace has a high moisture content of 40-70%, depending on the olive oil extraction process. Then a rotary drum dryer is essential. The rotary dryer has a slight inclination, acting as a conveying device and stirrer. The goal of the drying process is to reduce the moisture of olive pomace to approximately 12%, which is suitable for pelletizing. Pelletizing: After drying, the olive pomace can be pelletized directly without any further treatment. The ring die pellet machine is more proper for olive pomace pellet production. And the ring die compression ratio should be higher than 1:6.5. No adhesive added in this procedure. Cooling & sieving: Pomace pellets discharged from pellet mill are high in temperature and moisture content. Our counter current pellet cooler is used to remove pellet heat as well as the moisture content to ensure pellets quality and shelf-life. Simultaneously, the powder materials or unshaped pomace pellets are sieved and send to the pellet mill again. Packing: After cooling, the packing process is necessary to protect the pomace pellet from damp and dust. The olive cake pellets can be packed into bags with different specifications based on requirements. The raw materials are sourced from recycled natural waste. No trees are cut down to create our product. When burning pomace pellets in industrial facilities, emission produced is less than using fossil fuels (coal, natural gas or oil). 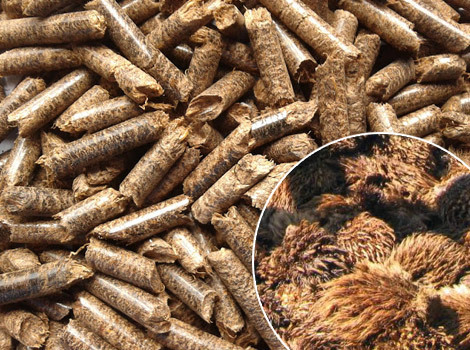 The combustion of pomace pellets is considered carbon neutral since the plants inhale carbon dioxide from the atmosphere when they grow and store the carbon in the plant structure. Therefore, olive pomace pellet is a suitable alternative to fossil fuels. 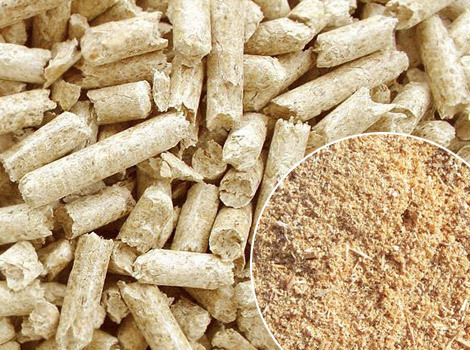 And the pellets are 100% natural product without any additives. From an environmental point of view, it is very important. 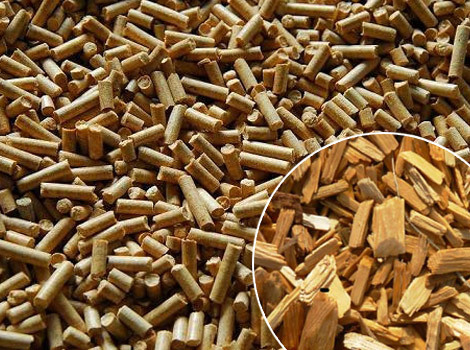 The content of sulfur is too low to negligible and the pellet fuel does not contain toxic compounds or heavy metals. Compared with heating oil, we can save 50% of our money with the same result. Besides, the pellet is low in moisture content but high in heating value. 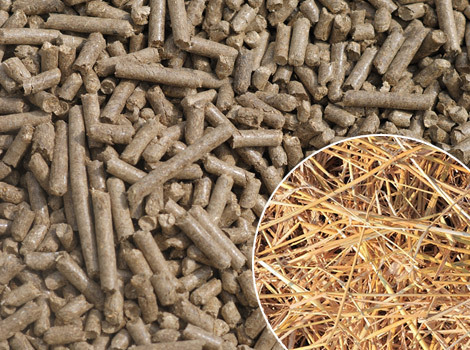 And after pelletizing, the pellets are easy to transport and handle, without significantly modifying the thermal properties. Olive oil is commonly produced as a mixture of different cultivars. The olive pomace pellets of four different olive cultivars have been analyzed separately, which are Pendolino, Leccino, Istarska Bjelica and Buža. The olive pomace pellets are most widely used as fuel in various industries for drying purposes and for hot water heating because of its thermal capacity. Besides, the pomace pellets are applied in power plant for electricity generation. The pellets are also suitable for heating olive mills and private house. Similarly, the ashes produced in combustion are used to manufacture fertilizer, given their high soluble potassium content. The Biomass Magazines article titled “Electric Olives” reported that the first olive-powered electrical plant was built in Palenciana, Spain, in 1995. Since then, four more plants have been built in the Andalusia region. About 3 percent of Spain’s electricity consumption comes from biomass sources. Several power plants in England have been burning olive residue since 2003. England imports 175,000 metric tons of olive cake, making it the largest importer of olive residue in Europe. Major Italian energy company Enel cofires olive waste at its coal-fired plant in Brindisi, Italy, in the southern part of the country.